On the occasion of the fiftieth anniversary of Star Trek—one of the most honored, influential, and beloved science-fiction franchises of all time, and one that shows no signs of slowing down—The Paley Center for Media joins the worldwide celebration with special screenings, exclusive events, online activities, and the stunning original art exhibit Star Trek: 50 Artists. 50 Years. Join us to explore strange new worlds, to seek out new life and new civilizations, and to bask in the community of your fellow Trekkers while besting them in trivia and arguing over favorite episodes. Klingons welcome. No Tribbles, please. Exhibit and Screenings are FREE. No advance ticketing. 25 West 52 Street, between 5th and 6th Avenues. 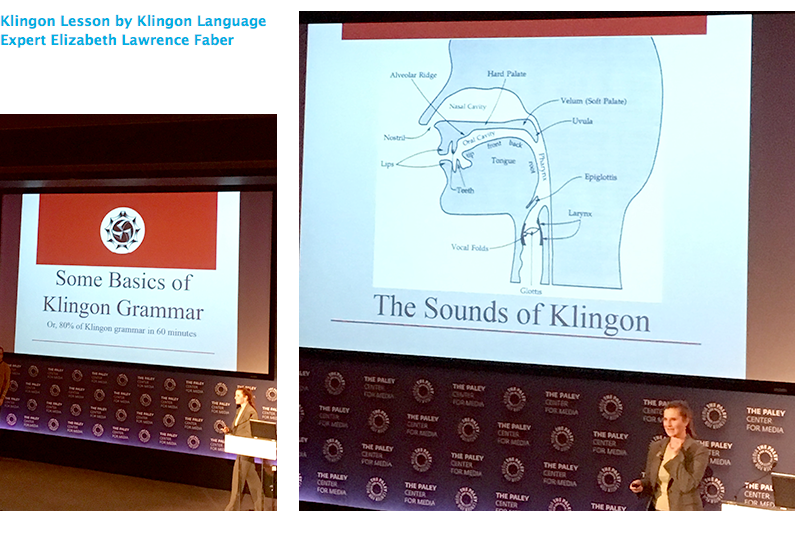 More information about visiting the Paley Center in New York. All-day screenings from Sunday, September 18 to Sunday, September 25 (Closed Monday and Tuesday). 4:15 pm: Poll Winner for Best Spock Episode: Amok Time: Pon farr?? The Paley Center is delighted to present the East Coast premiere of Star Trek: 50 Artists. 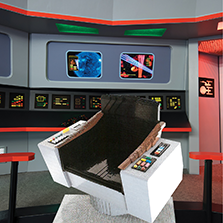 50 Years, an original art exhibition celebrating the legendary sci-fi franchise with Star Trek–inspired works by fifty different artists from around the world—including a piece with celebrity fan Mayim Bialik (The Big Bang Theory) and Mr. Spock himself, with the last piece of art created by Leonard Nimoy. 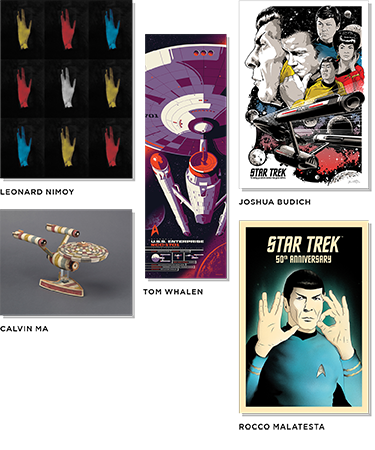 The exhibition includes a dazzling variety of 2-D and 3-D works, including images, illustrations, photographs, paintings, sculptures, and more...all paying homage to the visionary optimism of Gene Roddenberry’s enduring classic and its many children. Come explore even stranger new worlds and civilizations as we celebrate the legacy of Star Trek—and look forward to the next fifty years. 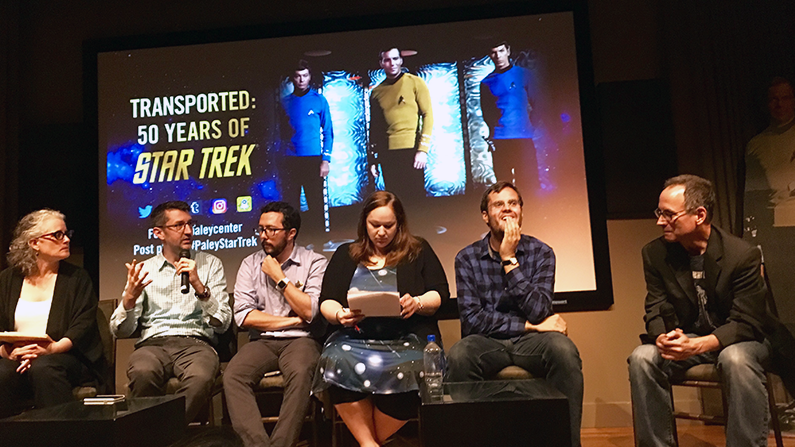 Our panel of judges--including comedy star and noted Shatner impersonator Samm Levine and Rod Roddenberry, son of Star Trek creator Gene Roddenberry—whittled the Kirk impersonation entries down to four, and the final vote was in the room at the end of the Captain’s Panel on September 17. You can see the finalists for yourself. The debates were heartfelt and passionate. The vote by applause in the room was very, very close, but at the end of the day Captain James T. Kirk was declared the greatest Star Trek leader in history! Photos: TM & © 2016 CBS Studios Inc. All Rights Reserved.